The world we live in can be an interesting place. Many of us want to live a good life and do the right things to keep ourselves fit and healthy and be seen to be good people. However it can be hard when life throws us so much conflicting information and opinion. We read a newspaper that tells us one thing, hear a differing opinion and thought from someone else, whilst having been told another thing completely by our parents. Sometimes simply deciding what is right and wrong can be difficult. We are here to clear up the facts from the fiction and dispel the myths and misconceptions surrounding electric toothbrushes. So, you now know whether these myths and misconceptions are true or false, but let’s give a bit more detail and context behind the answers, so you understand why. Electric toothbrush manufacturers do make some bold claims surrounding the effectiveness of plaque removal by using an electric toothbrush. Claims of up to 100% more effective plaque removal is often bounded around. The manufacturers do have to have completed research and studies to make such claims, but these studies are often funded and influenced by the brands. There is little in the way of clinical studies that have shown quite such a significant difference between the two brush types. However independent firm Cochrane analysed no less than 56 different studies of over 5000 participants and the investigations concluded that using a powered toothbrush when compared with a manual toothbrush, there was an 11% reduction in plaque at one to three months of use, and a 21% reduction in plaque when assessed after three months of use. So whilst not as significant an increase in plaque removal as the major brands suggest this review does confirm that significant gains can be had from using an electric toothbrush. Such is the regularity of this concern, two articles on our site (do electric toothbrushes damage teeth & can electric toothbrushes cause gum recession) actually address this very myth in much more detail. A clinical study by Annette Weigand in 2012 actually compared manual and electric brushes and found that manual brushes were more abrasive to the teeth and gums. Professor Addy’s study also confirmed that there is no evidence to suggest an electric toothbrush is any worse on the teeth or gums. However, it is possible for an electric toothbrush to be a contributor to tooth damage and gum recession, but only in cases whereby the brush is being used incorrectly. The wrong technique is applied to the teeth and too much pressure is used. There is an understanding that electric toothbrushes were designed for those with specific needs, be it those with limited movement in the hand or wrist, for those with disabilities or medical conditions that limit their ability to clean their teeth properly. Whilst there is without doubt advantage to those who do suffer with restricted movement or disabilities that inhibit their ability to clean their teeth properly, the electric toothbrush was not designed specifically for this purpose and it is in fact suitable for anyone. The principle of the electric toothbrush is to make brushing the teeth more convenient and an enjoyable experience that users will brush for the right amount of time, rather than brushing for less time than they really should. This is certainly not true. Most of the major benefits of an electric toothbrush are gained from buying even the cheapest model. There is some advantage to buying a slightly more premium model, to gain extra features and benefits that they bring, but you do need to buy the most expensive. Expensive models do bring benefits for some users but there is a diminishing return per £ spent. Typically for £25-50 you can purchase a very good electric toothbrush with all the features you could really need or want. But for just £15 will get you an electric toothbrush that will bring advantage over a manual one. Why not take a look at our list of the top 10 electric toothbrushes that shows you all the options and explains features and makes recommendations based on needs, wants and budget. Whilst yes, it is possible that for some there is a degree of novelty to using an electric toothbrush and some may resort back to a manual brush, the reality is that few do. This is because by the time a user has begun using an electric toothbrush, they have already invested financially, so why go back to a manual when you have paid for a brush? Convenience will often then play a big part of sticking with it. Whilst whether a manual or electric brush, the brushing time is 2 minutes, we all like things that make our lives easier and an electric toothbrush does. It does the hard work and does so more efficiently than a manual brush. The biggest reason users stick with an electric toothbrush is the resulting clean that they offer. It is for most users better than a manual brush and this noticeable difference convinces a user to stick with it, rather than resort back to a manual brush. Take this approach and you are on a path to a telling off from your dentist! It may be surprising, but the method for cleaning your teeth with an electric toothbrush is different. Ultimately a manual brush requires you to move the bristles, whereas an electric brush that does that bit itself. Because of this you need to adapt your technique to put the brush head in the right place to reach and clean your teeth and gums whilst letting the brush head do all the hard work for you. Our guide on how to clean your teeth properly, tells you all you need to know in ensuring you have the right approach. It is because many do use the same approach, that the powered brush gets a reputation for damaging teeth and gums. Sorry to tell you that this is not the case. Flossing or interdental cleaning is still an important part of the routine. Although an electric toothbrush has been proven to clean more effectively than a manual brush, when using a toothbrush of any kind you actually are failing to clean up to 40% of the teeth surfaces. The only way to clean this 40% is use floss or interdental brushes. Floss is often criticised or overlooked, for a number of reasons. The most common being how awkward it is and because it hurts. Well, it probably hurts because you don’t floss. It can be awkward, but there are tools to make your life easier. Using interdental brushes is one option for bigger gaps and floss for the really tight gaps. Read our article Interdental cleaning – floss vs interdental brushes for a great insight into the differences and what is best when. More sophisticated products like the Sonicare Airfloss (view on Amazon) might also be worth considering. Whilst larger brush heads cover a larger area and can be thought to clean the teeth better, this is not the case. Because of the rounded shape of the teeth, it is actually the smaller rounded heads typically found on Oral-B brushes that have been shown to clean more effectively. A study by Klukowska highlighted this in a 12 week study consisting of 130 participants. Larger brush heads still clean well and should not be ignored, but look where possible to use smaller heads that fit around 1 tooth at a time rather than a head that fits 2-3. The enamel on your teeth might be one of the hardest substances on earth, but your gums are not. An electric toothbrush only needs to skim the surface of the teeth and gums to clean them. The principle is to sweep away rather than scrub away at the surface as it removes plaque and bacteria. Softer bristles move over surfaces easier and often create less resistance to give a more enjoyable clean. It is true to a point that an electric toothbrush is less environmentally friendly than a regular manual brush, but it is a bit more complicated in that actually over time, an electric toothbrush is likely not that much more damaging to the environment than a normal toothbrush. Assuming that the typical life of an electric toothbrush is 5 years, during that time you will need 20 replacement brush heads, or during that same time you would use 20 manual toothbrushes. 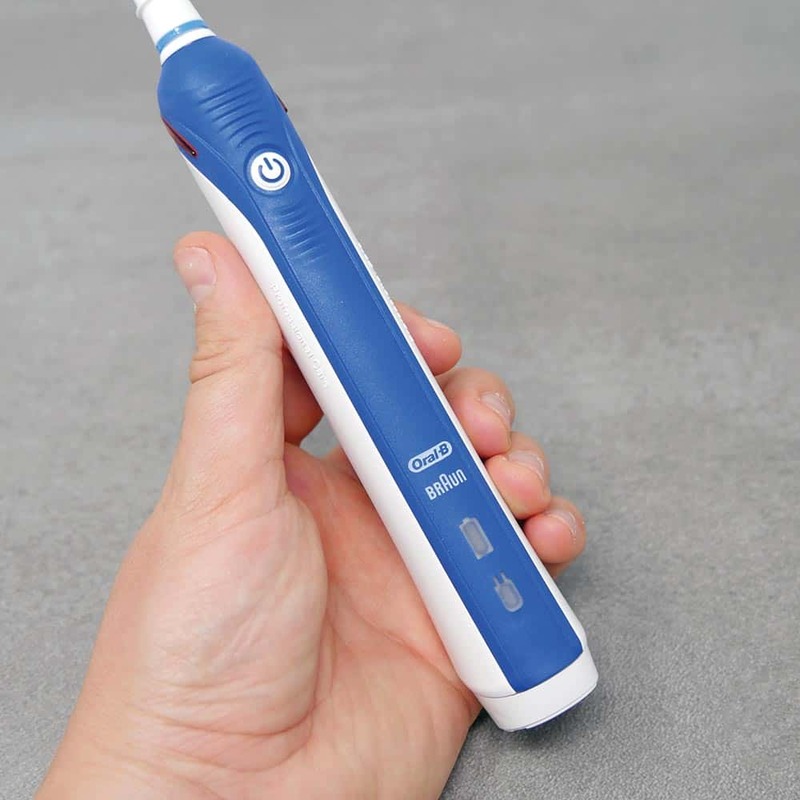 Initially you need to purchase the electric toothbrush, which contains more environmentally damaging components like the battery, the electrical components and the extra metals and plastics. However, the replacement brush heads are smaller than a manual toothbrush and generally use less plastic, which take hundreds of years to break down. Over a 5+year period it could be argued that the plastic use is just as high in a manual brush and neither are great for the environment. Better would be the use of bamboo toothbrushes that decompose and leave only the bristles as the non-environmentally friendly part of the brush. If comparing an electric toothbrush to this, then there is no comparison, the electric toothbrush is more damaging to the environment. Have you heard other myths and misconceptions? Need something clarified and want to know whether it is indeed true or false. Leave a comment below and we will be sure to answer your query confirming whether it is fact or fiction and why. Silicone & Rubber Bristled Toothbrushes: How Do They Compare To A Normal Toothbrush? Can an electric toothbrush cause gum recession?